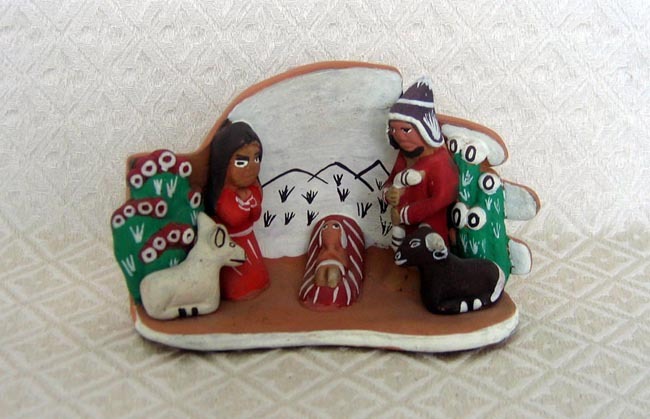 This is a hand-painted Nativity scene set in a hand. The scene was made in Peru. The hand represents the hand of God that watches over and protects the Holy Family. This hand is approximately 5 inches wide.